Almost completely hairless, this little plant reddens somewhat like its cousin, Herb Robert. It's shorter with lovely rounded, glossy leaves which are cut to about half-way. 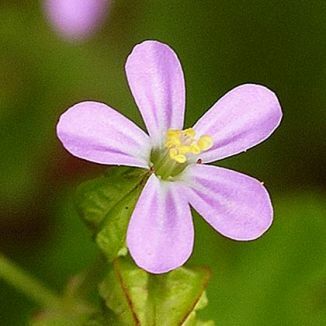 Its pink (10-15mm) flowers have un-notched petals. 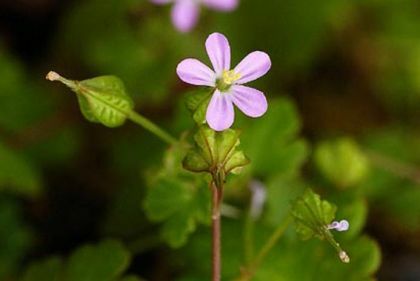 Shining Crane's-bill grows mainly on limestone and flowers from April to August. Its very clever seed distribution occurs when the beak-shaped pods explode, sending the seeds far and wide. This plant is native to parts of Munster and Co Clare but probably introduced into other areas of Ireland. It belongs to the family Geraniaceae. I first identified this flower in the Burren, Co Clare in 2004 and photographed it in the same location in 2007.